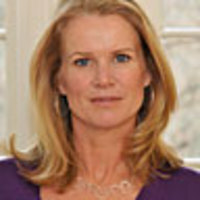 Katty Kay is the Washington Correspondent for BBC World News America. She is the author, along with Claire Shipman, of Womenomics: Write Your Own Rules for Success. Kay has covered Washington since 1996 and is a contributor on "Meet the Press", "Larry King Live", "The Chris Matthews Show" and a regular guest host for Diane Rehm on NPR.